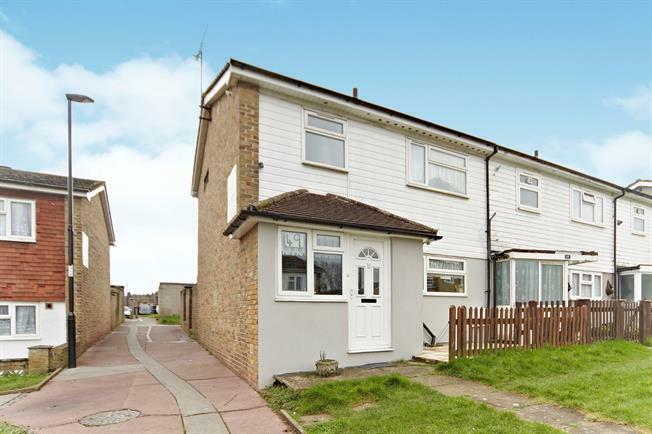 3 Bedroom End of Terrace House For Sale in Croydon for Asking Price £320,000. Well presented family home located in a quiet position within access of local shops and schools for all ages. The accommodation has been improved by the current owners over recent years and briefly comprises spacious entrance hall, downstairs cloakroom, large reception room with direct access to rear garden, well appointed and fitted kitchen, three bedrooms and bathroom. Outside there is a private rear garden with storage sheds and rear access.